Gelle Katzenstein gave birth to three sons and seven daughters, but only one of her sons survived to adulthood. 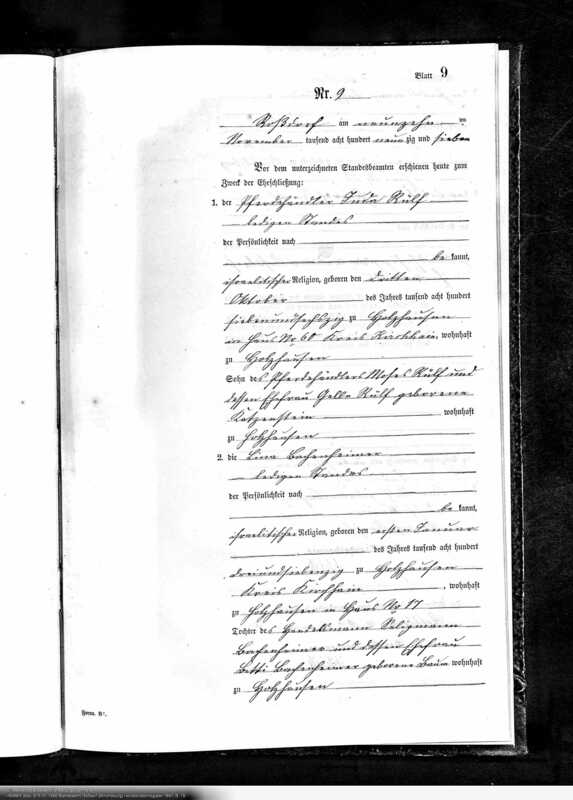 That was her son Juda, born on October 30, 1867, in Rauischholzhausen. He was her eighth child and the first boy since her firstborn, who had been stillborn and was unnamed. 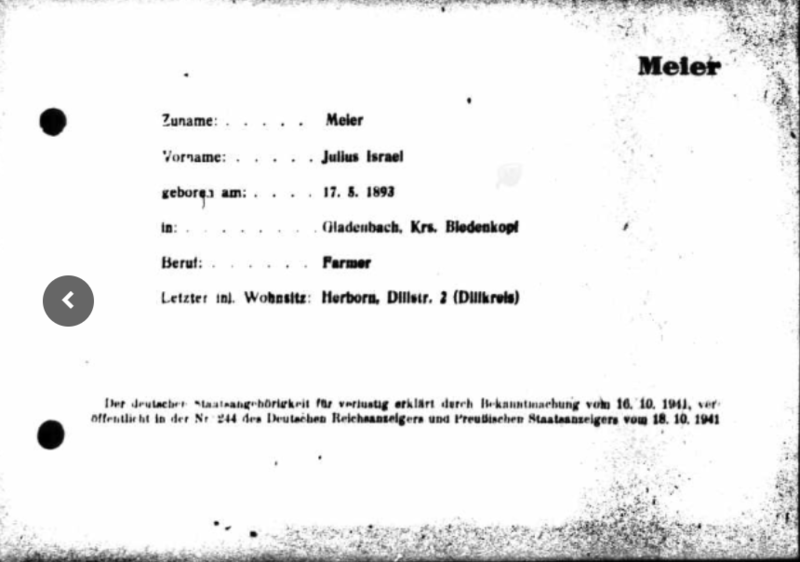 After posting my first post about Jakob Katzenstein, I was contacted on Facebook by a man whose grandfather was Siegfried Bachenheimer (born in 1900); he told me that the Bachenheimers had once lived next door to the Ruelf family in Rauischholzhausen. That helped to explain the interconnections between the Bachenheimer and Ruelf families. Thus, only Selma, Rosa, and Friedel survived to adulthood. Selma married Julius Meier on November 17, 1922, in Rossdorf; Julius was born May 17, 1898, in Gladenbach. 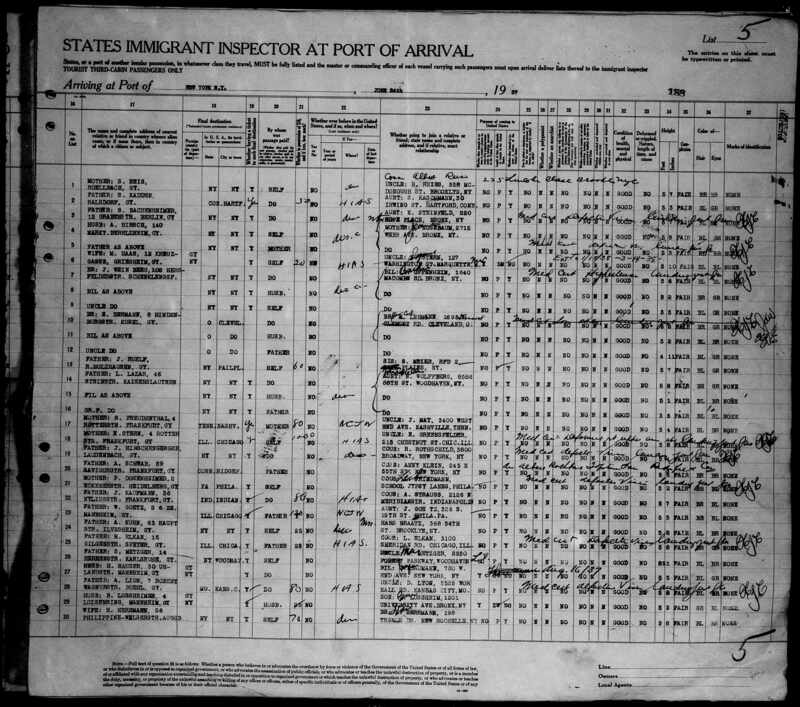 According to the Nazi record nullifying his citizenship, he was a farmer; later records describe him as a cattle dealer. 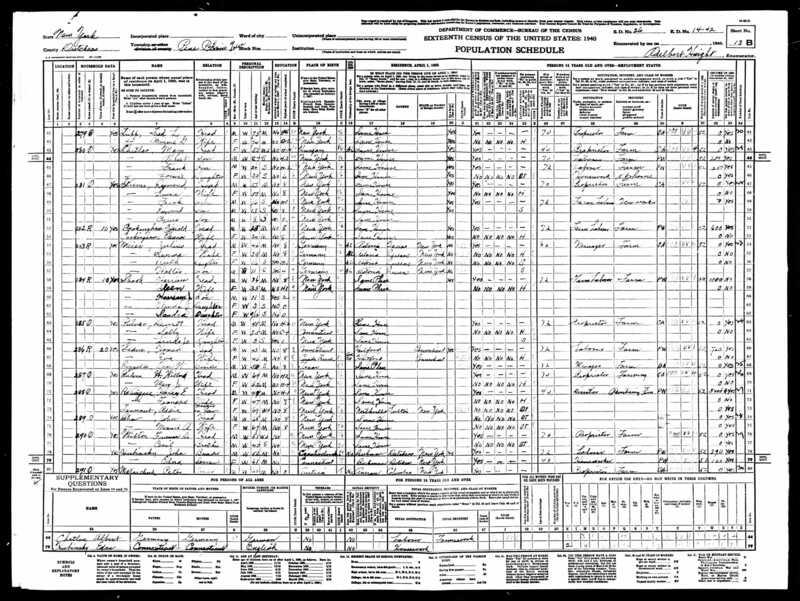 Selma and Julius had two children born in the 1920s. Ancestry.com. Germany, Index of Jews Whose German Nationality was Annulled by Nazi Regime, 1935-1944 [database on-line]. Original data: Name Index of Jews Whose German Nationality was Annulled by the Nazi Regime (Berlin Documents Center). Selma’s sister Rosa did not marry, and her brother Friedel did not marry until much later in life and did not have children. Thus, Selma’s two children were the only grandchildren of Juda and Lina Ruelf. Lina Bachenheimer Ruelf died on October 16, 1930, in Marburg; she was 57 years old. All three of the surviving children and their father Juda Ruelf immigrated to the US after Hitler came to power. 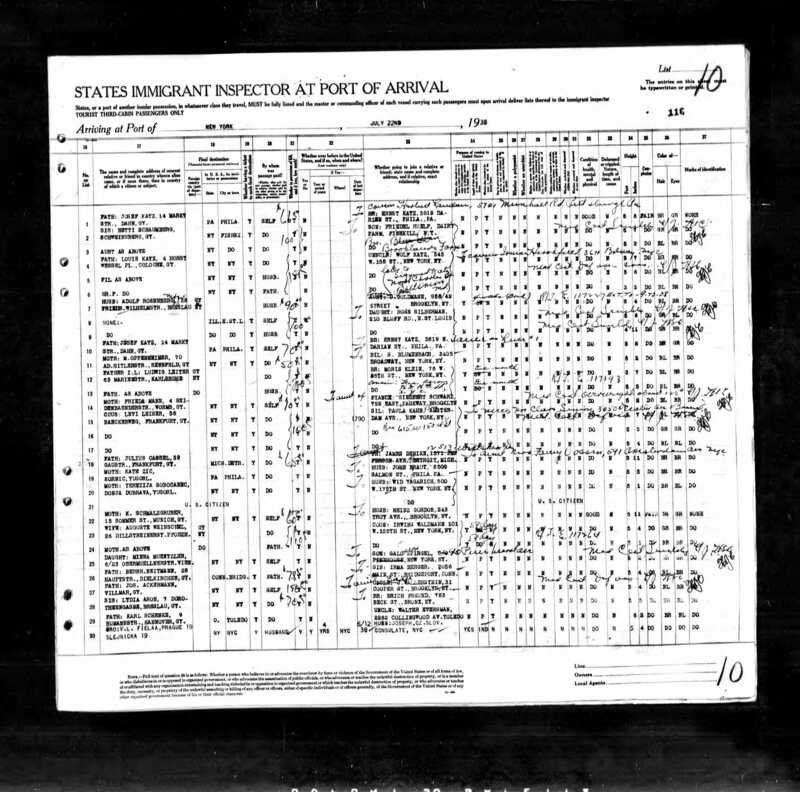 Selma and her family left first, arriving in New York on April 30, 1936. 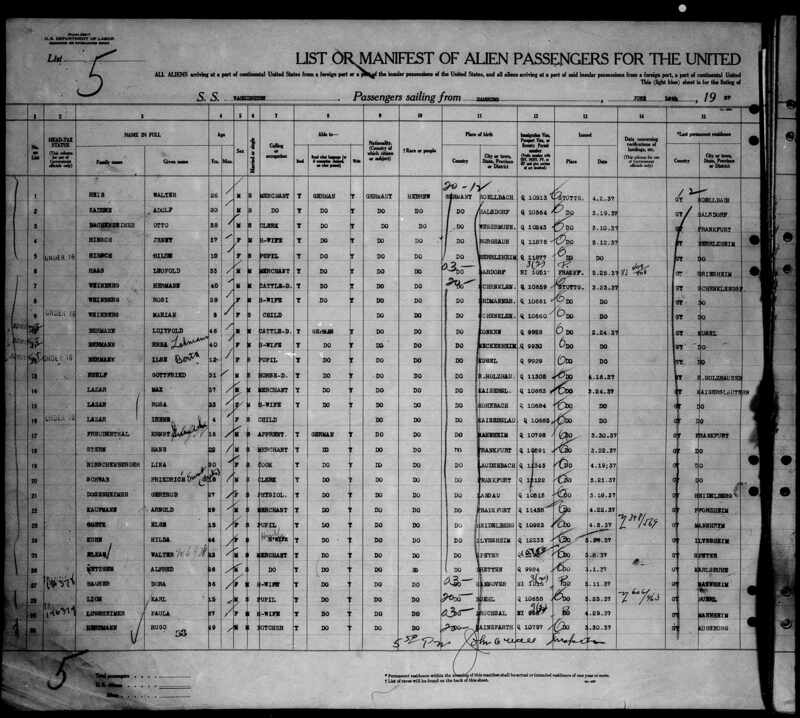 The passenger manifest states that they were going to Los Angeles where Julius had an uncle. It doesn’t seem that Selma and Julius ever went to Los Angeles or, if they did, they were not there very long. 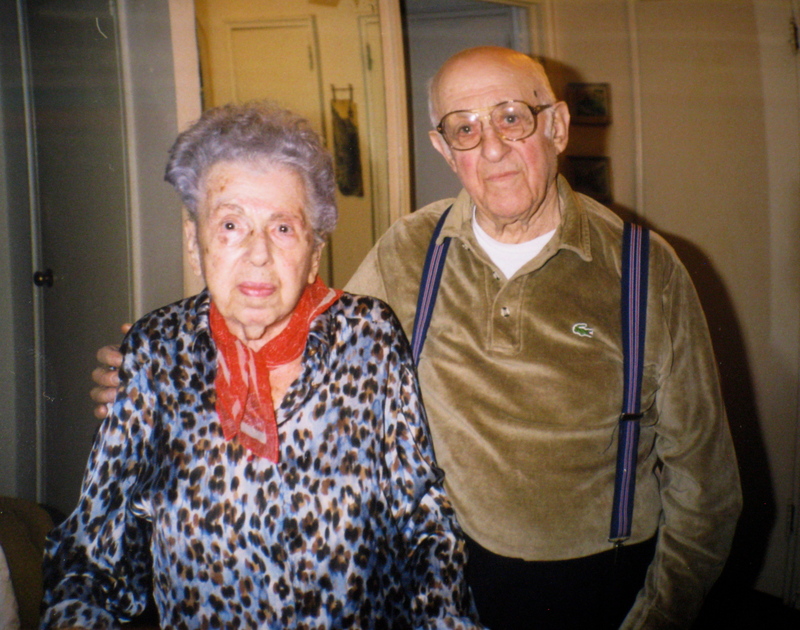 When Selma’s brother Friedel arrived on June 16, 1937, he listed his sister Selma Meier as the person he was going to stay with and reported her address as Pine Plains, New York, a small town about a hundred miles north of New York City. Friedel reported that he was a horse dealer. The last family members to arrive were Juda Ruelf and his remaining child, Rosa Ruelf. 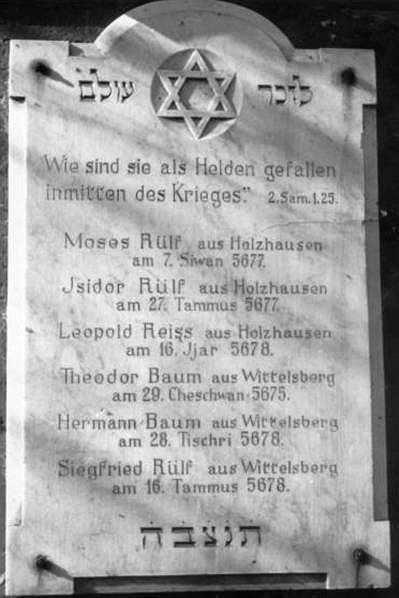 They arrived on July 14, 1938, and listed Gottfried (“Friedel”) Ruelf, Juda’s son, as the person they were going to see. Friedel’s address was given as “Dairy Farm, Fishkill, New York.” Fishkill, another small town, is about fifty miles south of Pine Plains and fifty miles north of New York City. But Juda, Rosa, and Friedel did not remain long in Fishkill. 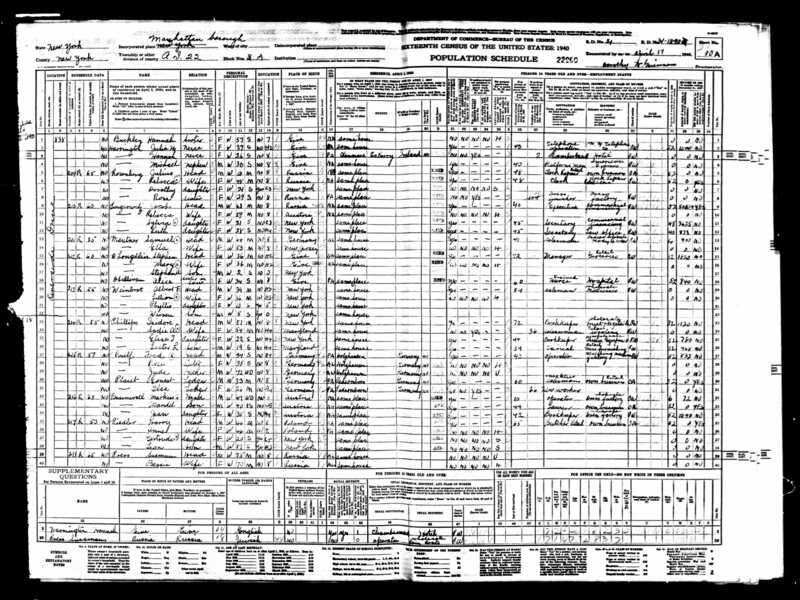 On the 1940 census they were all living together in New York City. Friedel, now going by the Americanized name Fred, was the head of household and working as an operator in a stapling machine factory. Neither his father nor his sister Rosa was employed. They also had two boarders living with them. Friedel must have been the sole support for his father and sister Rosa. In 1940, his sister Selma and her family were, however, still living in upstate New York in Pine Plains where Julius continued to work as a farmer. 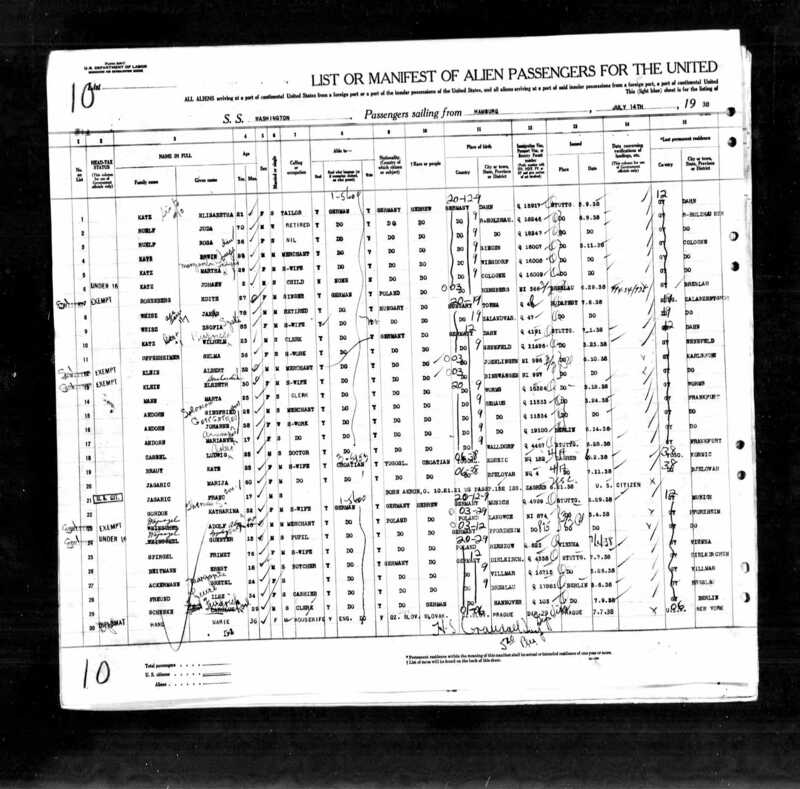 Interestingly, the census record indicates that in 1935 they were living in Astoria, Queens, which can’t be correct since they hadn’t even left Germany in 1935. Friedel Ruelf married late in life. According to the New York City Marriage Index database on Ancestry, he married Claire Lowenstein in 1962 when he was 57 and she was 56. Juda Ruelf and his children and their spouses are all buried at Cedar Park cemetery in Paramus, New Jersey. The cemetery office told me that Selma Meier died on April 15, 1950, but her death is listed on the New York, New York, death index on Ancestry as April 13, 1950. According to the cemetery, Juda Ruelf died eight months after his daughter Selma on December 12, 1950; he was 83 years old at his death. Julius Meier, widower of Selma Ruelf Meier, died on June 20, 1959, according to the cemetery. 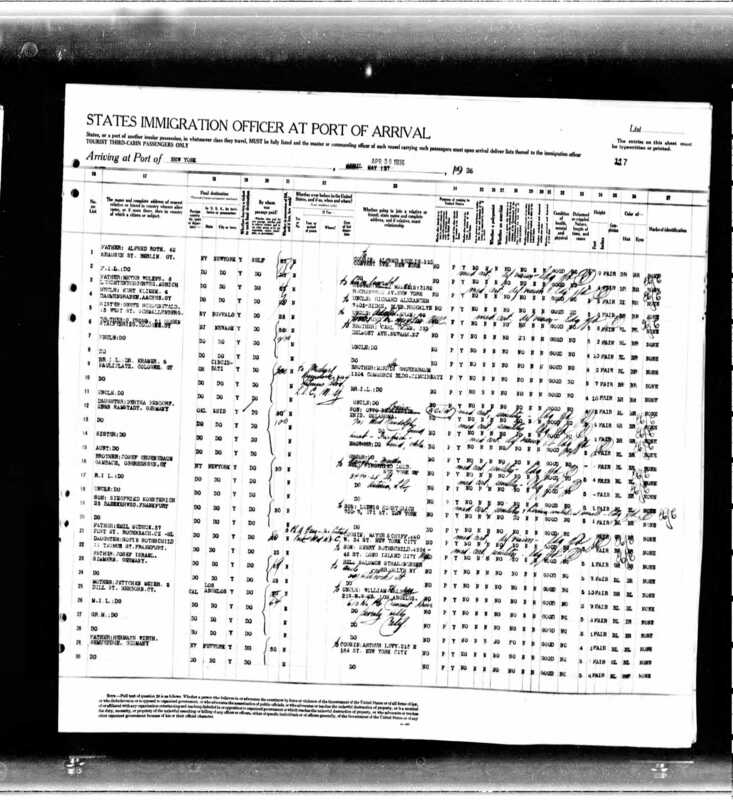 Rosa Ruelf’s death is documented by the Social Security Death Index; she died when she was 76 on June 18, 1978, which was confirmed by the cemetery. Two of the members of the Bachenheimer side of the family, both named Steve, had the pleasure of knowing Friedel and his wife Claire personally. I am looking forward to learning more from them about the family. 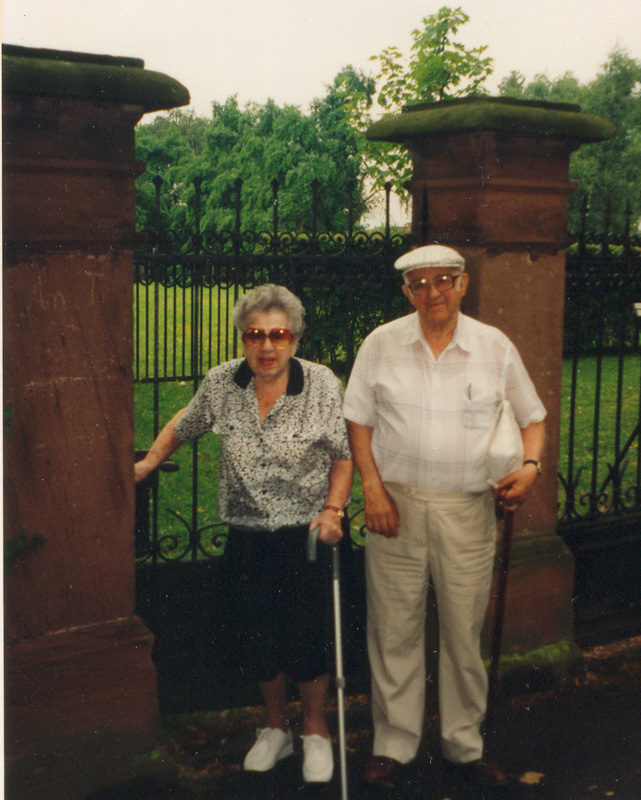 Both Steves generously shared with me pictures of Friedel and Claire, one outside the Jewish cemetery in Kirchain, Germany, and one in New York City. Thus, unlike the families of his sisters Esther, Betty, and Minna, no members of the immediate family of Juda Ruelf were killed in the Holocaust. His wife Lina died before the Nazis came to power, and Juda and his children all escaped to the US in time. They were among the fortunate ones. I am now in touch with two people who knew Friedel “Fred” Ruelf, and I am hoping to get more information about him and his life. 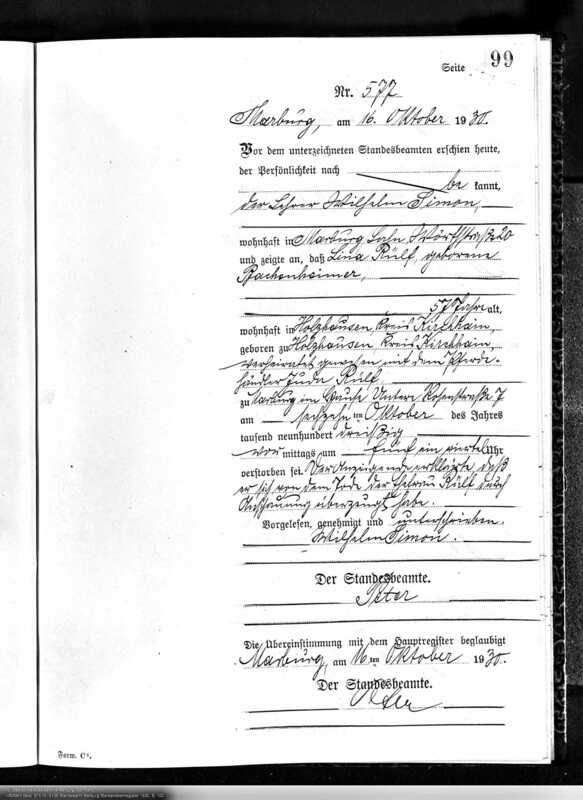 This entry was posted in Genealogy, Germany, Katzenstein and tagged Bachenheimer, Germany, holocaust, katzenstein, Rauischholzhausen, Ruelf by Amy. Bookmark the permalink. You seem to have new contacts for your families every time you write a post. Nice to read this family was able to leave Nazi Germany in time. The pictures shared with you add so much to your posts. I know—it is mind boggling. For the most part, it’s because of Facebook. Either I find people myself on Facebook or in this case, Jennifer (who I connected with through JewishGen and Facebook) connected me to the two Steves (and now a third one this morning!). Other times it’s people who find me through the blog. This particular line has been incredible for finding new cousins! Thanks, Cathy. Congratulations on yet another cousin! Amy- It’s wonderful finding family. I found my great grandfather, John Franklin Melloy and where his family is buried and also found JOhn K. Wiley, great uncle, and where his family is buried.I am so glad you are finding more family! Working on John K. Wiley jr. and where he lived and was buried. I have a lead to Nassau county New York to a son Ken Wiley, who may still be alive! Finding cousins has been so rewarding, especially since my parents and my brother are gone. I am going up to the Oley Valley to see family connected to Lousia M. Griesemer Wiley this week or next to take pictures of all the Griesemer homes, two wooden covered bridges, and Griesemer’s Mill. Over the winter I will paint them all and give to the Griesemer Family Association. I may have to notify Jim about the Wiley history continuing on! That’s terrific, Pat! Please give my best to Jim!! Thanks, Sharon! I think there are still farms in that area, but I don’t know exactly where Friedel was living. What a relief that they all made it out on time! Isn’t Facebook great? I didn’t like it all that much before I started hunting for cousins. The immediate connection is so exciting! At this point, I think at least 75% of my Facebook usage is devoted to genealogy. Between finding cousins and reading blogs and interacting in various genealogy groups, it’s a true gold mine of opportunities. As always, I love the photos – you have connected with some very generous cousins. LOL! No, I think the enumerator didn’t understand the name of the German town, thought it was Astoria, so wrote that down! Thanks, Debi! Thank you, Karen! Yes, those census records can drive you mad. They can be so helpful and informative and also so misleading and confusing! Amy, I am floored how you can do so much research and produce blog posts so fast. Do you eat? Sleep? It’s wild. As far as the families living next door to each other: I have found that it’s very important for me to neighbors on census reports. I learned this because so many of my family lived in that same Burdick/Balch area, and it gives me leads to check this out. Therefore, I think it must be important for all genealogy. But I wouldn’t have a clue how to read German census documents hahahahahahaha. It’s hard enough to read the American ones. I suspect the neighbor thing is really important because in those days it must have been so important who you lived by. They must have had such a big impact on one’s life, you know? Believe me, I eat! Sleep? Well, as much as I ever have. But I am retired, and I now work at genealogy more than I once worked at my job! But I like it much more. I still have plenty of other activities, but when I am home, I am researching, writing, and editing. You are amazing. I would like to clone myself so I can do more genealogy, but there are too many other things I want to do in addition. Maybe it’s my ADHD . . . .
Oh, I have lots of other things on my plate! Volunteering, taking a German class, yoga, strength training, riding my (indoor) bike, reading, etc. But genealogy is my best relaxation. This is why you need to just admit your genealogy research and posts are phenomenal. Seriously, to produce stories from such detailed research so regularly is very unusual. Brava to you! I am just so happy being able to do what I want to do. Thank you so much for the kind words! As for neighbors—well, if Steve hadn’t told me about his ancestors living next door to my relatives, I’d never have known. There are a few census reports in Germany (like one in 1939), but not that I’ve ever seen in my family research for the little towns like we have every ten years here. But the towns are all so small that I assume all the Jews knew each other not only in their town but in surrounding towns. Plus the non-Jews! 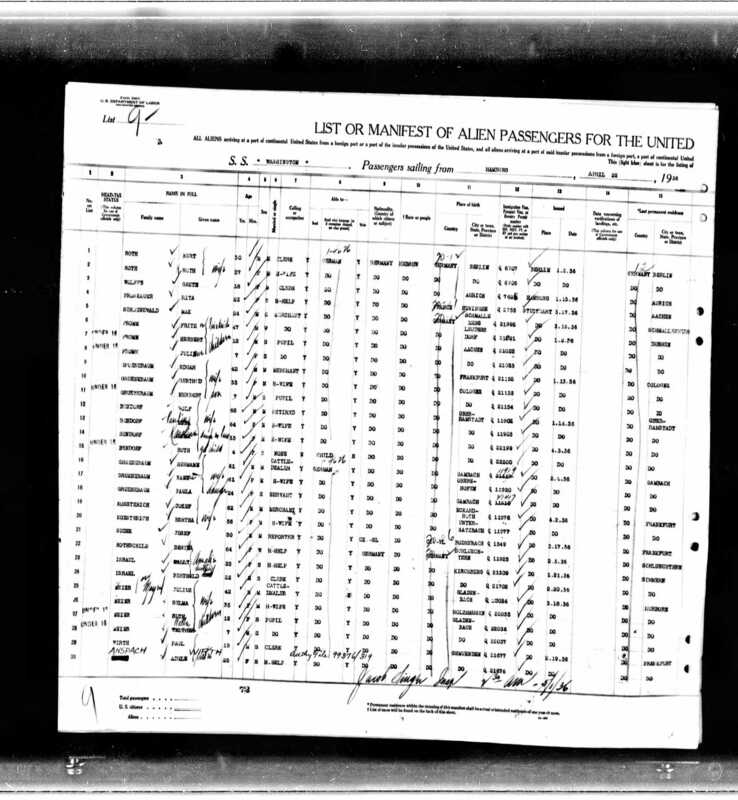 I’m sure it wouldn’t be like American records, but I think I ought to write a blog post someday about the importance of neighbors in American census records. Of course, there is a lot more work I have to do first :). 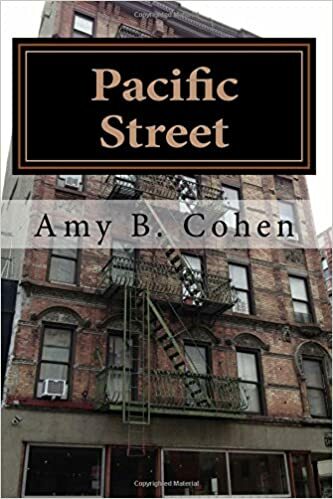 It’s funny because I have not found much of use in the whole FAN thing, maybe because so many of my US ancestors lived in big cities like NYC and Philadelphia where an apartment building has so many families that there is no way to figure out who their friends and neighbors were. On one city block there could be thousands of neighbors! Yes, but in apartments people were close friends and even family as well. It’s not the block in that case, but the people next door and two doors down, etc. But I agree that in big cities there is more mobility and less cohesion. I always look, but have only very rarely found connections among those up or down the hallways. And people just moved every few years as rents went up, families grew, etc. I agree, definitely not as fruitful for you. I see the same thing in my Chicago family, although it was VERY interesting to see that when my grandmother was a young sweatshop seamstress she boarded in a house with only ONE other woman boarder. That woman was a 49year old artist (painter). The rest were all men. THAT really makes you wonder what it was like. Probably not as much fun as we’d think! Yeah, it might have been awful. Harassment at the least. I’m pretty sure a 49 year old painter knew how to take care of herself, but not my grandmother who had been with her family up until then and had had to quit school after 3rd grade. You can be sure their living conditions were not like staying in a lovely inn! Probably some sleeping on floors and several to a room. Let’s hope your grandmother and the painter at least had their own room together. You are right. Without the light, the darkness would be too much for me to bear. But it’s not just the new cousins and happy endings that bring light—it’s all of you—my readers, my genealogy friends, and my fellow bloggers.